The worst of winter is finally here. Luckily, the area around the San Francisco apartments for rent hardly notices the effects (outside of a small drop in temperature). That open up numerous opportunities to make the most of these months through a wide variety of incredible Bay Area activities. If you’re looking for something new to do this winter, then check out these 8 essential activities for residents of the bay. Wintertime in the Bay Area means nearly everyone will be dining on fresh Dungeness crab. It isn’t uncommon to hear two people arguing over who cooks these crustaceans the best or which restaurant serves the best dish. 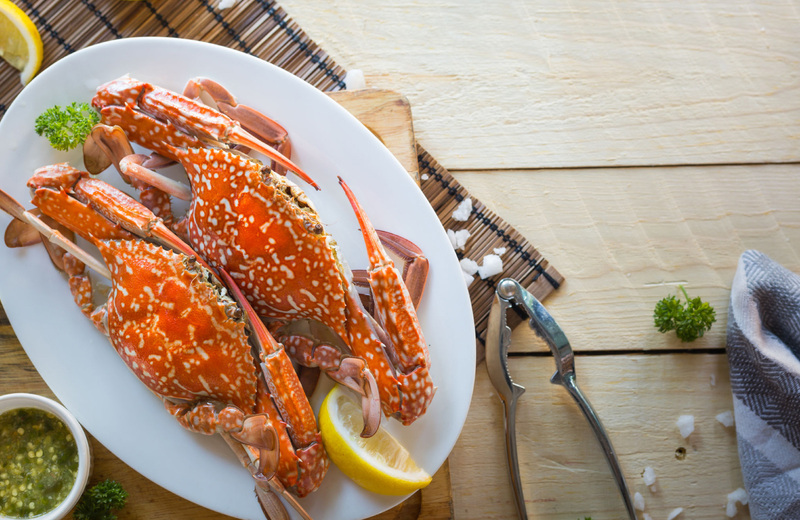 If you’re a fan of these sea creatures, then now is the perfect time to plan a restaurant crab crawl. Best of all, the abundance of Dungeness crab in the winter season means you can order these clawed creatures whole. That’s right. There’s nothing better than a whole crab that you can break the legs off of yourself. If you’re an avid surfer, then you already know that the winter months produce some of the best waves in Mavericks. If not, then now is an excellent time to head over to this locale in Half Moon Bay and give it a shot. It’s highly recommended that unexperienced surfers take a lesson or two. Riptides are stronger in the winter, and the waves are enormous at times. With the right gear and a little practice, you can enjoy this Cali hotspot all winter long. The Bay Area is touristy throughout the year, but few people tend to travel out here in winter. So, why not take advantage of the lack of crowds and check out San Francisco’s incredible museums? There’s a lot to see, but a quick Google search will help you find the spots you want to visit most. Unless you’re heading to Northern NorCal, you probably won’t see any snow around this time of year. That is, unless you choose to visit one of the Bay Area’s unique winter spectaculars. Six Flags, Winterfest, and more offer plenty of family-friendly fun in the form of larger-than-life holiday attractions. They even create fake snow to make things feel as real as possible. There are also several neighborhoods that light up around this time of year. The holidays might be over, but people tend to keep their decorations up into January for the fun of it. A nice drive complete with twinkling lights and coffee shop stops can be just what the doctor ordered on a gloomy winter day. Finally, there are plenty of ice-skating opportunities to be found in and around the Bay Area. You can find ice time for hockey, professional training, or just for fun at a variety of locations. Where else can you skate underneath palm trees? There are always sea lions lounging around Pier 39, but they love to make a special stop in January during their coastal migration. You can catch them in hordes gathered along the pier as they bark and waddle around. It’s an incredible sight, and something everyone who lives here should see at least once. This is a great chance to try out farm-to-table restaurants in Sonoma County or cross off some dining experiences you’ve had your sights set on for a while. Most locations that participate offer a prix fix menu highlighting their most popular dishes, which means you can usually get a great deal on a few succulent bites. Sketchfest is the Bay Area’s most popular comedy festival, cracking people up since 2002. The event takes place from January 10th to the 27th this year with acts ranging from local favorites to national headliners. There are even a handful of up-and-coming comedians in the mix. The festival keeps things fresh by switching up acts throughout the show. Performers put on sketches, do improv, stick with traditional stand-up or even try out a little alternative comedy. It’s a unique experience, and the perfect cure for any winter blues. As if a weeks dedicated to fine dining and culinary delights wasn’t enough, San Francisco also celebrates beer for an entire week in the winter. The Bay Area has become somewhat of a craft beer capital in the US, giving way to hundreds of local breweries with their own unique creations. People come from across the globe to try flights of everything from hoppy IPAs to dark stouts throughout the year, but February’s SF Beer Week is the best time to wet your taste buds. You can find over 32 craft breweries within walking distance from BART in the city, so your options are plentiful. It still gets cold in the Bay Area, which makes coming home to the comforts of luxury and excellence all the more enjoyable. The Towers at Rincon offer unique layouts with views unlike any other from the North Bay to The Embarcadero. Designed for elevated living, each home features modern conveniences that crate the ultimate place to relax and unwind. Modern touches ranging from key-less entry systems to individually operated central heating provide homely comfort, while a selection of carefully curated amenities caters to your every need. Relax on the rooftop terrace, shop in on-site grocery store, or allow various concierge services to handle your daily obligations. From top to bottom, Rincon is crafted with luxury living in mind. Welcome to a distinctly elevated sense of living right in the heart of San Francisco’s Downtown. These apartment homes redefine luxury in every facet of their creation and function, all for you. Welcome home. Welcome to The Towers at Rincon.